Where/who should the anger over Ahok’s conviction be directed at? Many Indonesians and friends of Indonesia are understandably angry at the sentencing of Ahok to two years jail for blasphemy. But to where or whom should this anger be directed at? Getting the measure of the man. Is he who we think he should be? At Bu Yani whose mistranslation started the whole blasphemy charges? He was only an inconsequential pawn in the game. At the Islamic radicals who have bayed for Ahok’s blood? They were only being themselves, just as it is in the nature of a scorpion to sting. At the prosecutors who indicted Ahok when there should be no grounds to do so? They were minnows who caved under pressure. At the judge who delivered the verdict? Again a minnow who could not stand up to the enormous forces at play. At the Police who cannot seemingly enforce the law and arrest protesters even for small crimes? They take their cue from higher powers. At the mysterious forces arrayed against Jokowi? They are formidable but not invulnerable, certainly not if they faced the wrath of a president. At the Military that is purported conspiring with the mysterious forces? They are pledged to remain loyal to the Commander-in-Chief, aka The president. Yep, no matter how you look at it, all signs point to The President if you ask what and to whom should the anger be directed at. Now about the President: Jokowi has been enjoying a honeymoon all this while, especially among the self-perceived progressive Indonesians, precisely the type of people who have been supporting Ahok. 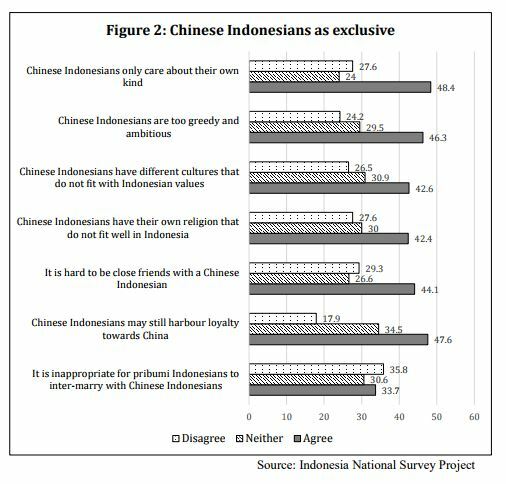 Jokowi enjoys their support, or failing that, their looking the other way when he fails to live up to his obligations as a president. And why not? After all he’s one of the very few honest men in government, he’s humble and likable. This disarms the progressives and blinds them to the inadequacies of the man who, frankly, has been disastrous as a president where the upholding of liberties, human rights and the law is concerned. 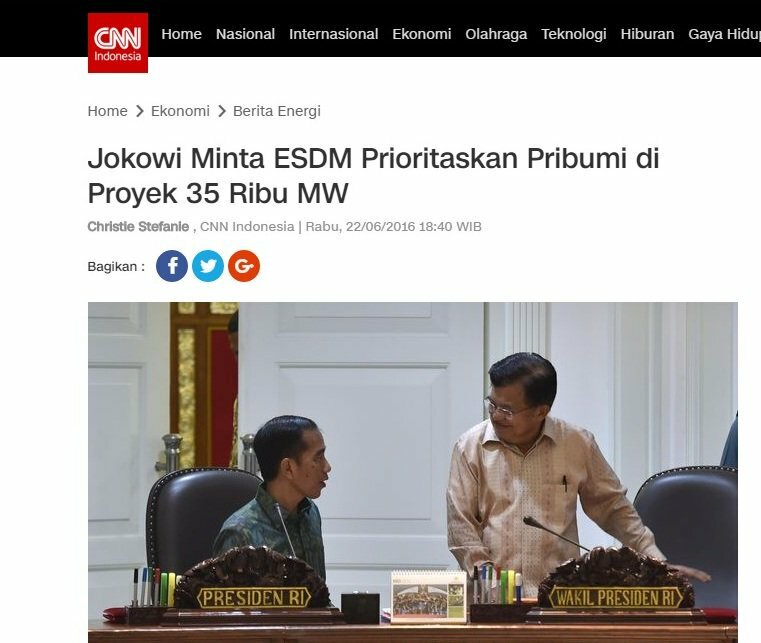 Jokowi is the only man in a position to set the tenor of law enforcement, yet he does nothing, so the Police do not know how much to exercise their power. The result: wishy washy handling of protesters and FPI typed who flagrantly break the law and do not go punished. This builds in them a sense of impunity.Out of small crimes they graduate to bigger ones because they know they can get away with it. This emboldens them. And even when the Police act, as in those treason cases, they take forever to process the cases. Justice delayed, as they say, is justice denied. Again it reinforces the sense of impunity. This has allowed the hardline Muslims to take ever bolder steps to press for what they want, to flout the law and eventually to start dictating to the government. It is time that the progressive Indonesians wake up to the fact that their skinny President has no clothes and rightly direct their anger and pressure at him. On his scrawny shoulders lies the fate of Indonesia. No one else has the power and the influence that he can yield. The least he can do is to set the tone and manner of how the law should be enforced in such a way that all and sundry understand that enough is enough. It is time to toe the line or face the consequences. if he can do this he can still bring Indonesia from the precipice that it is slouching toward. If he can’t then we’ll be watching Indonesia descend into chaos, bigotry, intolerance, violence and a tyranny of the boorish. 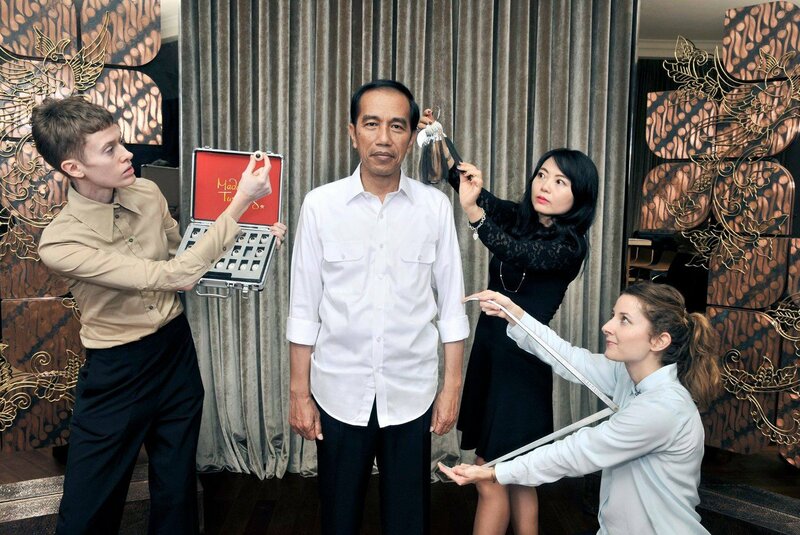 Where is Jokowi in our hour of need? 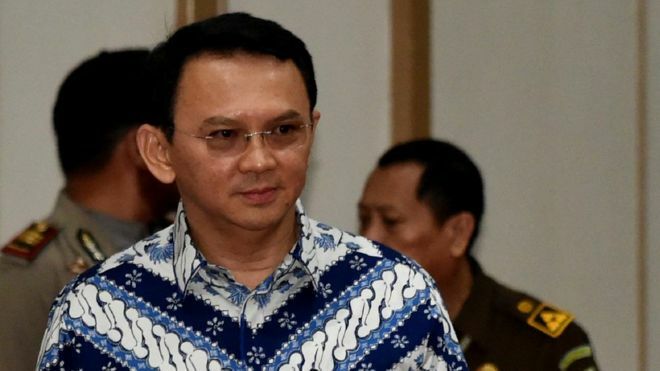 Today most Indonesians who pride themselves as progressive would have felt let down by the news that Ahok has been sentenced to 2 years jail for blasphemy. They view Ahok as innocent and a victim of bigots, Muslim hardliners and vested interests in politics. On the other side are those who feel a sense of justice because they feel that Ahok had been contemptuous of them. Them loosely defined as those mostly Muslims that see his speech at 1,000 Islands as blasphemous or at least insulting, and those who feel that Ahok had gone too far in his outbursts against those who disagree with him. The important question to ask is firstly whether Ahok’s punishment fit the crime? Ahok has certainly been brash and maybe even abuse in his outbursts against those who are sometimes clueless of how government should work and try to appeal to him directly, he has also been contemptuous, this time perhaps rights, against those who want to take advantage of the system, be they politicians or civil servants. So if anything Ahok can be said to be guilty of being insensitive, callous and sarcastic, “crimes” that may earn him a reprimand but certainly not two years in jail. But jail he must go, says the judge, and while Ahok’s lawyers are sure to appeal the decision, the question to raise now is what does his conviction portend. Today’s decision is sure to embolden further to an already emboldened religious Muslim Right who will now not stop until they become the political ruling class. And why not. They smell blood in the air. Against legal norms they have managed to wrap the blasphemy charge against Ahok, seemingly against the implicit wishes of the President himself and the more liberal and dominant Muslim sector represented by the NU. They can virtually see the light at the end of the tunnel with Ahok’s conviction. Today was also a good day for Prabowo who has his eyes on the next round of the presidential elections in 2019. At the present there is only Jokowi who is the only viable opponent for 2019. With Jokowi dithering and meditating on his own non-action in a very Javanese way, Prabowo is starting to look even better as presidential prospect in two years, what more with him cozying up to the leaders of the Islamic hard liners. Whether he can, like Lee Kuan Yew who rode the communists like a tiger to power and afterward subdued them, ride the Islamists to power and then subdue them remains to be seen. The only thing that can forestall all of this coming to pass is Jokowi himself who apparently is locked in inaction because he does not want to be accused of being authoritarian and brutal as Suharto and who feels that he does not have enough control of the political parties and factions and the military to crack down on the Islamic hardliners. Hence legal violations like inciting racial hatred, acts of vandalism during demonstrations and the FPI taking the law into their own hands goes unpunished, adding to the sense of impunity these thugs already feel. Jokowi takes no hard decisions and instead he seems to be looking elsewhere but the right place for a solution. While Ahok’s verdict was being read, for instance, the President’s advisory council was meeting influential people to discuss how best to “socialize” Pancasila. Another meeting is being held tomorrow with another group of social leaders on the same subject. This is all nonsense. The Pancasila may espouse the best values that a nation could want but unless the government is ready and willing to show that it is ready to stand up and defend these values, no amount of spin and socialization would have real lasting effect. In this dark hour, the people of Indonesia want a decisive leader, a firm leader and a resolute one to lead them out of the present path leading to division, sectarianism and confusion. It is time that Jokowi discard that Javanese facade and act as a national leader, lest Prabowo be tempted to shoo him away like ants trying to get at his cakes. Jokowi, do not forsake your people. They need you to be strong for them.